A severe thunderstorm caused a facility to lose power for several days. While the facility was prepared with a standby generator, they ran out of fuel due to the length of the power outage. After losing the generator, the facility’s sump-pump stopped working causing the basement to flood. Everything stored in the basement was ruined and there was a significant amount of property damage. Power outages are a serious problem that nearly every home and business in the United States will experience at some point each year. As the story above illustrates, significant physical damage can be sustained if a power outage lasts long enough. Loss of power can cause essential systems to shut down, which is why having a working backup generator can help protect your business. Power outages in the United States have increased more than 8% each year for the last 10 years. Far more power outages occur in the summer months. 93% of the people in the United States have experienced at last one power outage in the last year. The average power outage lasts between one and eight hours. Power outages can occur anywhere and anytime, so having a functioning backup generator available ensures all necessary operations continue. Severe weather, natural disasters, and human error can all lead to temporary power outages. Whether your home or business loses power for an hour or a week, a generator can help keep electrical systems working and potentially keep you open for business. A generator can prevent a wide range of unwanted outcomes. Without power to the furnace, the pipes in a building can freeze causing thousands of dollars of damage. Without power to the sump-pump, any portion of a building below grade like a basement can flood. Without power to computer and communication systems, a business’ operations could be shut down, resulting in long-term financial repercussions. And, perhaps most importantly, without power it can be dangerous (and in some cases, impossible) for people to evacuate a building safely during a disaster. Installing, operating, and maintaining a generator properly is essential when trying to ensure a building’s needs will be met. Because generators are important and potentially dangerous pieces of equipment, only qualified individuals should maintain and install these devices. A contractor can help determine the size and type of generator your organization needs in order to keep all necessary operations running. If you or someone in your organization is not suited for the task, contact a certified electrician to do the job for you. Create a generator maintenance schedule to ensure routine maintenance is performed. If no one within the organization is qualified to service a generator, an outside contractor can be hired to perform scheduled testing and maintenance. Generators typically run on diesel fuel, which should not be stored for more than 12 months at a time. Fuel filters, coolant, and oil should be checked and serviced in accordance with the manufacturer’s recommendations. 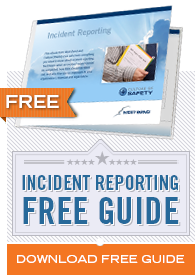 Create a log to make sure the manufacturer’s recommended maintenance is performed. Routinely run the generator to make sure it works. Do NOT use generators indoors (including garages and sheds). Do NOT place generators near windows or any place where there is air intake. Make sure all CO detectors are functioning properly. Learn more about the signs, symptoms and prevention of Carbon Monoxide poisoning and share this information with anyone that may work near a standby generator. A dangerous situation can occur if a generator outlet is plugged directly into a wall outlet. This is called “back-feeding” and can create a serious electrocution hazard. Plugging a generator directly into the wall outlet poses a serious threat to utility line workers trying to restore power in your area. If you are unsure about setting up a generator safely, contact a licensed electrician and they can easily and safely set one up for you. Generator fuel must only be stored in approved containers designed for fuel storage. Keep fuel stored in secured areas and limit access to areas where fuel is stored. Do NOT store generator fuel indoors. Only use fuel recommended by the manufacturer. Keep fuel away from the generator while it is in operation. 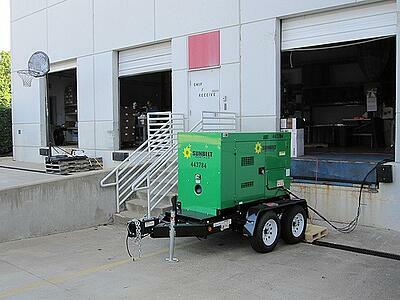 The electricity produced from the generator could ignite the fuel and cause a fire or explosion. Only refuel the generator when it is off and sufficiently cooled down. Keep an appropriate fire extinguisher close to the generator in the event of a fire.